It’s official: Ralph has become too big for his 8-bit or 16-bit arcade world. Ralph, the hulking, big-fisted villain from the 1980s video game who rose to prominence in 2012’s “Wreck-It Ralph,” has taken game online, and brought his pipsqueak buddy, Vanellope von Schweetz, with him. 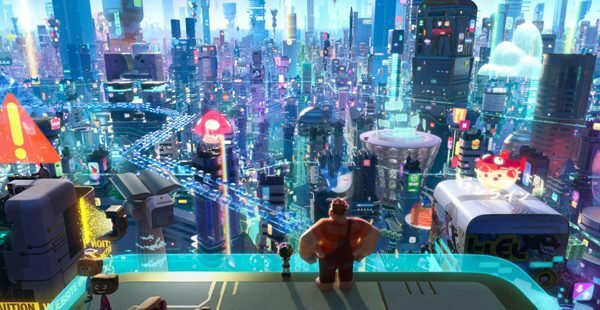 It was, really, the only place they could go, especially after the film made more than $470 million at the worldwide box office – and there’s a good chance “Ralph Breaks the Internet” could take home even more. But their world changes drastically when a new plug labeled “WiFi” arrives. Video game characters start asking questions. It gets worse when Vanellope’s arcade machine – a Mario Kart-style, candy-saturated game called “Sugar Rush” – gets unplugged due to a malfunction. The shutdown forces the game’s characters to become orphaned and looking for new homes. Of course, Vanellope chooses Ralph. The duo tries to find the replacement part – the steering wheel – that will save “Sugar Rush” by jumping on the router that whisks them into the internet. The movie answers its biggest question – how would the internet be portrayed in a PG movie – splendidly. Directors Rich Moore and Phil Johnston do a fantastic job of turning the internet into an infinite bustling city, with Facebook, Amazon and Google being represented by skyscrapers and Twitter birds circling the skies. People have been replaced by avatars and emojis and eBay is one big shopping mall. Ralph and Vanellope win the auction for the piece to save “Sugar Rush,” but don’t have any money to pay the astronomical bill because they have never learned the concept of money. Disney’s fingerprints are all over this internet city. From cameos of C-3PO and Baby Groot to superheroes and a plethora of Disney princesses, the internet becomes one happy place that’s only home to pop culture humor, pop-ups, clickbait and homemade videos that often go rival, which Ralph sees as a way to make money to pay for his winning auction bid. Ralph dominates the internet with his funny – but extremely childish – meme-inspired videos that he makes with the help of Buzztube executive Yesss (Taraji P. Henson), who turns Ralph into a clickbait hustler so he can monetize his videos. 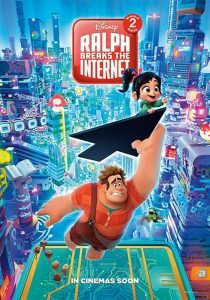 “Ralph Breaks the Internet” moves quickly and uses the magic of Disney to teach lessons about friendship, selflessness and the courage to venture into the great unknown instead of remaining comfortable. 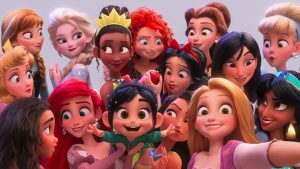 “Ralph Breaks the Internet” won’t smash any box office records but does break the mold of being one of few Disney movies in which the successor is better than the original.